DanceNet: Editorials from March, 2009. It's with great pleasure that I announce the return of the Dancing Graces, our own ombudsman of social dance ettiquette. Our original author retired from the writing but we've found someone who wants to take a stab at answering the questions that come in concerning behavior on the dance floor. By the way, you should be able to easily tell that "Grace" is not me. I'm nowhere near as polite and objective. For example, "swing dance boston" will get you different results from Boston swing dance. With the latter, this website is third. With the former, this website is listed *both* first and second. And the first one is a big list. On a non-dance note, if you ever get a chance to open up your computers, do use a can of air to blow out all the dust. If you happen to have one of those fancy heat sinks on your processor with a lot of those thin blades to dissipate the heat, you should know that those accumulate dust very easily that can block the air cooling the heatsink. And if your computer won't power up all of a sudden, don't just throw out the computer. Find someone with a spare power supply who can check to see if your power supply is burned out. I had to repair two computers in one day that wouldn't power on and luckily I had extra power supplies sitting around so I could fix or at least diagnose the problem. And for those of you going out in the Monday snowstorm, please remember to clean off *all* the snow off your car. Clearing the snow off your headlights is not so you can see; it's so others can see *you*. And clearing off that dry powdery snow off your roof means that it won't get blown off your roof while you drive and onto the windshield of the guy behind you. While you can say that it'd be the other guy's problem if he hits you, it's not going to help you get to work if your car gets totalled. I apologize for taking so long getting this out, but I finally got the information. Charles David Lee, Sr (or just Charlie) passed away on January 1, 2009. At age 84, he was still making the regular trek out to get to a dance, an inspiration to the rest of us. There was a a memorial service on January 7, 2009, but I didn't hear about it until just now. I'm not entirely sure of the details but I heard that he was in a car accident on New Year's Eve. Charlie's been a fixture on the local swing dance scene since forever and it'll be strange to not see him at a dance. 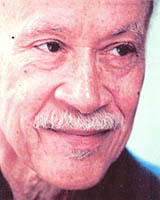 Charles D. Lee was born April 23, 1924 in Boston, MA. He was the second youngest of six children born to Gladys (Ingram) from Jamaica, British West Indies and John Lee from Falls Church, Virginia. He graduated from Roxbury Memorial High School and attended Franklin Institute and Lowell Institute of Technology at MIT. He also studied at the New England Conservatory of Music for two years. He loved all kinds of music and was an accomplished musician. In 1988 Charlie published a book, On the Path to Higher Consciousness, a book "offered as an organized approach to full utilization of the capabilities of the hbass clarinet". The workbook provides a method for extending the range of the bass clarinet to higher octaves than had previously been thought possible. The book was placed in the library of the New England Conservatory of Music. Charles was also a First Lieutenant in the US Army Air Force. He was an artillery pilot and learned to fly at Tuskegee Air Base in Tuskegee, Alabama. He served in Germany and when he returned he married Laura Campbell. They had two children-Charles David Lee, Jr. and Lauren Anne Lee. He is survived by many nieces, nephews, grand nieces and nephews and many friends. As we getting much older, one of the consequences is that our ability to get around easily is curtailed. For some people, that might be some injury that slows them down. For others, it might be a move to a location where they give up their cars; others give up their cars because they don't feel safe driving anymore. In any case, their mobility is curtailed as a result. One of my favorite sayings is "You don't stop dancing because you get older; you get older because you stop dancing". For some people, dancing is all they have left and all they have left to look forward to. I was thinking about this because of last week's editorial. I can imagine that people who get stuck sitting at home all the time because they can't leave the house and they don't have anywhere else to go just don't have much to look forward to except waiting to die. That's gotta be an awful existence. Therefore, I would consider it a personal favor if dancers who live in Arlington would consider checking in with my friend Lou Laudani once in a while and ask him if he needs a ride to or from a dance. Lou can't see very well at night anymore and has given up driving so it's either hard or expensive for him to go out dancing. Lou's been familiar face on the local dance scene for as long as I've been around and an important part of the local dance history and I'd like to continue seeing him out there showing us that we can still enjoy moving around the dance floor with someone special regardless of how old we get. Over in Europe, Microsoft is getting sued in order to get them to disable Internet Explorer on new Windows computers so IE won't be the automatic default web browser. When I build a new computer, the first thing I do is fire up Internet Explorer so I can download the Firefox browser. If Internet Explorer is disabled on new computers, how do users download one of the other possible browsers? It's been said that you gain wisdom from experience, but usually by the time you get that experience, it's too late. Occasionally, we get lucky in that we gain valuable wisdom without having to suffer through the experience. For example, as I was leaving for work one morning last month, I watched a garbage truck pull out of a narrow street onto my street (only slightly wider than the side street). A car coming down the street stopped *just* far enough to allow the garbage truck to swing out across both lanes and it would have been enough clearance...on a normal day. Unfortunately, this wasn't a normal day; it was the day after a sudden snow storm and there was still ice and snow on the ground. I watched the *large* garbage truck slide on some ice towards the *tiny* car and barely stop before squashing the car. I think they needed two sets of clean underwear after that. I want to thank both those drivers for giving me some free wisdom today without having to live through the experience myself. If someone is backing out of a driveway or a parking space and you can't see the driver, it's most likely the driver of that car won't see *you*. In situations like that, having the "right" of way is totally irrevelent. I suggest slowing down or even stopping to let that driver get out. Besides the fact that it's the nice thing to do, a few seconds saved by cutting off that car isn't worth the risk of having to wait an hour for AAA to show up to tow your damaged car to a body shop. If you're moving about in public and you're using one of those portable MP3 players, consider using only *one* earphone. Using those things while walking around in public is just as rude and dangerous as using them while driving. When you have both earphones in, it's really hard to hear the sounds around you. That can put you in a situation where you need to hear what's going on around you. For instance, today some woman needed to move her baby stroller around on the subway so she could get off the train. She said "excuse me!" several times until I poked the guy to get his attention; he was totally oblivious to anything going on around him. I had to fight the urge to slap him off the head to get his attention. I can see wanting to listen to one's favorite music while traveling from point A to point B, but that doesn't absolve someone from their responsibility to pay attention to the things around him. And when you block yourself from the outside world such that you can't even hear tires screeching on the pavement behind you, that's just moronic. On the other hand, maybe that's God's way of adding some chlorine to the gene pool.